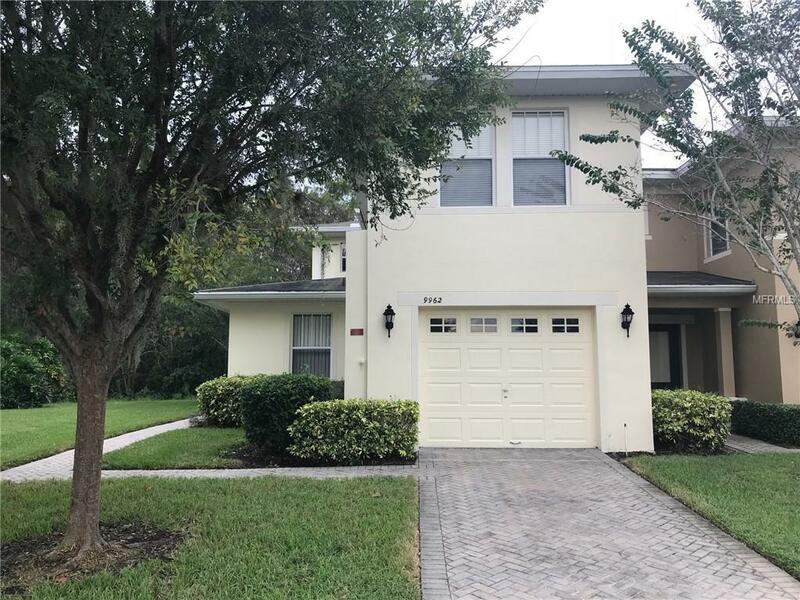 Amazing 4 bedroom 3 full bathroom corner unit townhome on conservation lot in gorgeous Crowntree Lakes shows just like a model! This lovely 4 bedroom property is absolutely charming inside and out with newer laminate in common areas, fresh paint throughout and turnkey condition. Kitchen is just the perfect size, and complete with eat in dinette overlooking wooded, private backyard. Downstairs office can double as a bedroom with private bathroom just steps away. Upstairs master bedroom offers plenty of space with luxurious bathroom suite and large walk in closet. Cozy upstairs hallway and mini loft allows for bedroom privacy and extra space for family decorations. Outside covered porch overlooks wooded backyard and is the perfect place to relax. Community is gated and offers pool and playground amenities. Located only minutes from Lake Nona, Orlando International Airport, major highways, shopping, beaches, and theme parks - this property has it all.